Can anyone help me with Western blotting problem? i am currently looking for IL-36 in the Hacat cell line. I've been trying a month but I have no a good result TT. Edited by Vui, 06 December 2018 - 04:31 AM. the which antibody lacks specificity? try to stain without 1st antibody. try different and/or blended block. we use normal serum from the species in which the 2nd antibody is produced and bsa together. we prepare the antibody solutions with normal serum in buffer with tween-20. thank you mdfenko for your suggestion. I also try with I-Block product and nonfat milk blocking but the result is worse. I would try to block with normal rabbit serum as yoour suggestion. and I would try without primary Ab and let's see the result. A quick google search finds me several references that say that IL36 is only expressed in HaCaT under certain conditions - are you sure you are inducing it? Yes I did stimulate the Hacat cell with HSV1 and I did performed the pcr and it appear a positive band. Edited by Vui, 06 December 2018 - 11:15 PM. Good luck solving your blotting issues. Mdfenko's suggestion ought to help test if antibody quality is a problem. Yes I am thinking that the goat anti-IL36 is not good. I sent an email to the company and waiting for their reply. meanwhile I would try other solution. 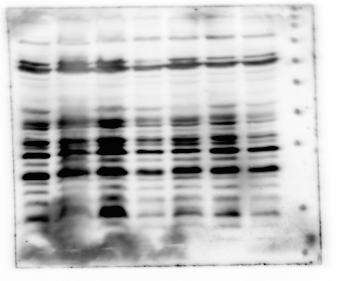 I did try the western blot with only 2nd antibody and they was no signal.